The Nebraska Golf Association is a non-profit organization and works with the Nebraska Golf Foundation, a 501(c)(3), to achieve its mission to "uphold and promote the game of golf and its values to all golfers in Nebraska." Donations are welcome and help support programs like Youth on Course, which allows junior golfers to play rounds of golf for $5 or less. If you'd like to donate or would like to learn more about the Nebraska Golf Foundation, contact NGA Executive Director Craig Ames. 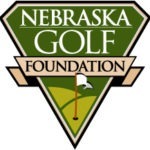 The Nebraska Golf Foundation was established to promote the growth of golf in Nebraska with an emphasis on making the game and its life-enhancing values accessible to youth.